Minta's Creations: Santa Margherita Mother's Day Sweepstakes Getaway! Santa Margherita Mother's Day Sweepstakes Getaway! 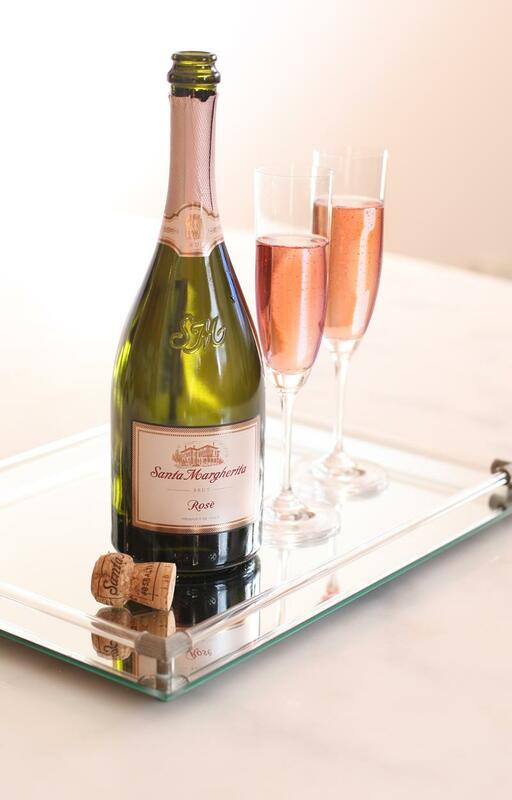 Every mother deserves to spend Mother's Day weekend relaxing and having fun and letting their hair down especially in an exciting city, sipping on the refreshing new Santa Margherita Sparkling Rose' wine. If this is something that appeals to you then you have to check out Santa Margherita Facebook page where this is an exciting contest going on all you have to do tell them why you mother deserves a getaway and you'll be entered for a chance to win a Las Vegas Mother's Day weekend for two, including air fair, two nights at the Monte Carlo Resort and Casino and a memorable Mother's Day Brunch featuring HGTV star an entertaining expert Monica Pedersen, other great prizes include bottles of wine, boxes of chocolates and copies of Monica Pedersen's new book, "Make it Beautiful". I tell you what I already feel relaxed just reading about this contest.. The Sparkling Rose'. joins an acclaimed lineup of Santa Margherits wines that also includes Pinot Grigio, Prosecco and Chianti Classico Riserva. The #1 Imported Italian wine crafted this beautiful, sparkling blend of Prosecco di Valdobbiadene, Chardonnay, and a hint of Malbec in the crisp, easy-drinking style for which Santa Margherita is renowned. The new Santa Margherits wine will nationally be in stores beginning in May. Are you going to be the Lucky Mom to win this fabulous vacation? So have your children go and enter to win this amazing once in a lifetime vacation. 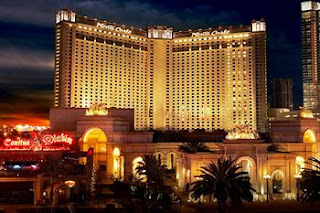 Go to https://www.facebook.com/SantaMargherita and enter...and here is where you will be staying in Las Vegas. Thanks Santa Margherita and MomSelect for this awesome Opp. "Disclosure: I was entered for a chance to win a Santa Margherita prize package in exchange for this post. No monetary exchange took place. I wish my mom was here. I'd enter. What a great vacation. Looks so much fun. Looks like a great vacation package! I loved Vegas! We went for our honeymoon. Thanks for the contest info! My husband loves Vegas. He went there on a business trip and I had to stay home! Thanks for the tip on the sweepstakes!